Brenda is the Maritime Heritage Coordinator overseeing all aspects of the sanctuary’s historical resources. She is the lead for cultural resource permitting and works closely with NOAA’s partner agency the Florida Department of State Bureau of Archaeological Research for historical resource management in the sanctuary. 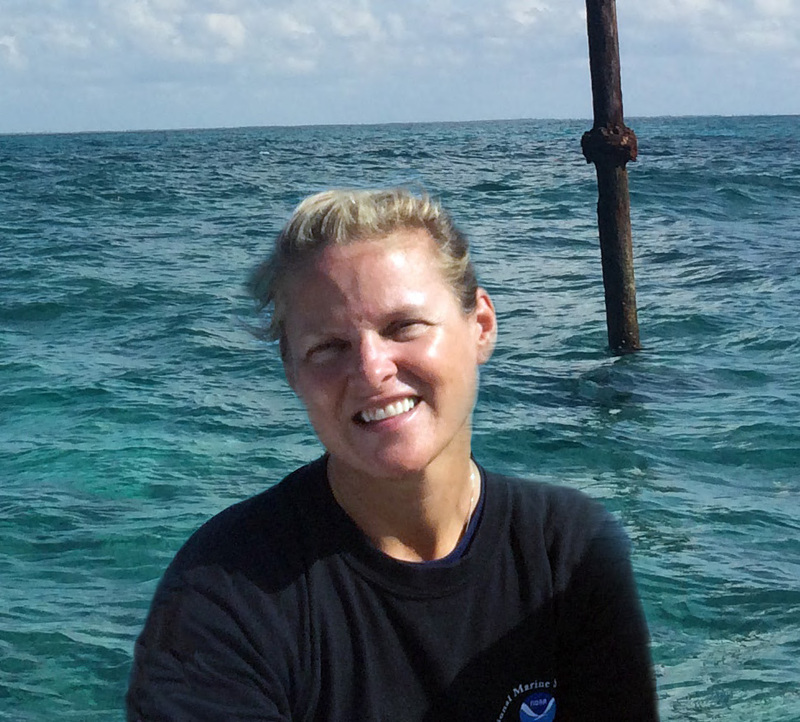 Brenda has been with the National Marine Sanctuary Program since 1993 and has assisted with mooring buoy installations and coral research and restoration in addition to her workk with underwater archaeology. In her capacity as a member of NOAA's Maritime Heritage Program she has participated in numerous archaeological field projects throughout the United States including Alaska, Hawaii, California, and Michigan. She coordinates research in the Florida Keys working with government, universities, and non-profit archaeological institutions such as Diving With a Purpose, Maritime Archaeological and Historic Society, PAST Foundation, Anglo Danish Maritime Archaeological Team, and RPM Nautical Foundation. She holds a U.S Coast Guard 100-ton Master License and operates both power and sailing vessels in the Florida Keys for work and recreation. A diver since the early 90's she is certified by both PADI and NAUI, and is a Nitrox certified NOAA Working Diver. As a community member Brenda has served on the board of the Historic Preservation Society of the Florida Keys for more than 17 years, is a founding member of the Florida Keys Reef Lights Foundation, and participated for more than 7 years on Monroe County Sheriff’s Department Community Advisory Board.